Guillem Posanz, 52, is a telecommunications technician who is currently unemployed and has been sleeping on the street for three years. 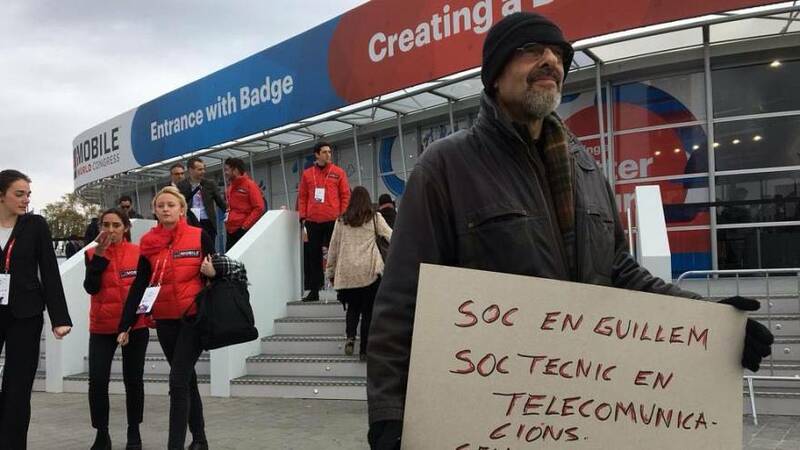 This is exactly what he wrote on the sign that he held up at the entrance to the Mobile World Congress (MWC) for attendees to see as they walked in last week. Guillem's actions have resulted in several job interview offers. The initiative is part of a campaign launched by the NGO Homeless Entrepreneur to give visibility to the stories of people who sleep rough while searching for a job to get them out of this situation. 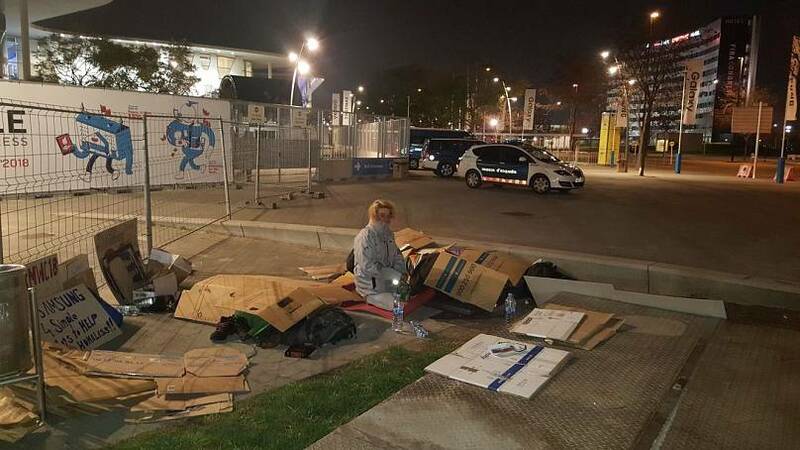 Based in Barcelona, the charity organised a "Sleepout" on the doorstep of the MWC, which took place from February 25 to March 1 in the city. "Do you have a smartphone? Does it bother you when Do you see a human being sleeping on the street?" the organisers asked on their website. 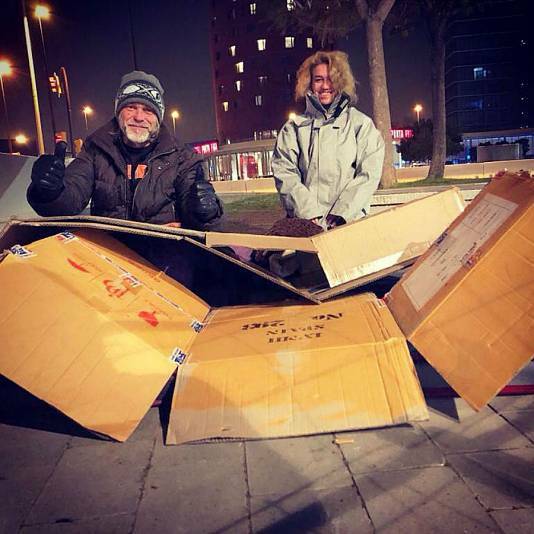 "Sleeping in the street for one night isn't going to kill you, but sleeping there every night can and will especially in winter and during cold fronts. A #HomelessEntrepreneur named Tomas who has successfully gotten off the street lost a close friend of his last week for this exact reason. Carol was only 45 years old," it read. When the sleepout participants woke up, they had already reserved the best positions to display their signs. Many of them had similar stories to Guillem's and wanted to catch the attention of MWC attendees who were going to spend their days discovering the most cutting-edge technology in the world of communication. 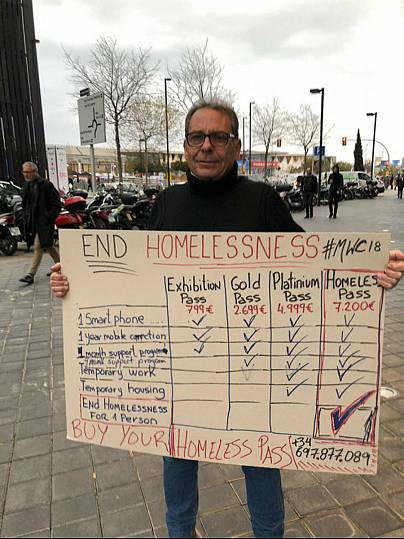 One of the banners compared the prices of an entrance to MWC 2018, with the money needed to help a person get out of poverty. Andrew Funk is the founder of Homeless Entrepreneur, which has been working towards getting people off the street in Barcelona and reintroduce them into the world of work since 2003. He told Euronews that the charity's work is funded by mini-donations (crowdfunding). 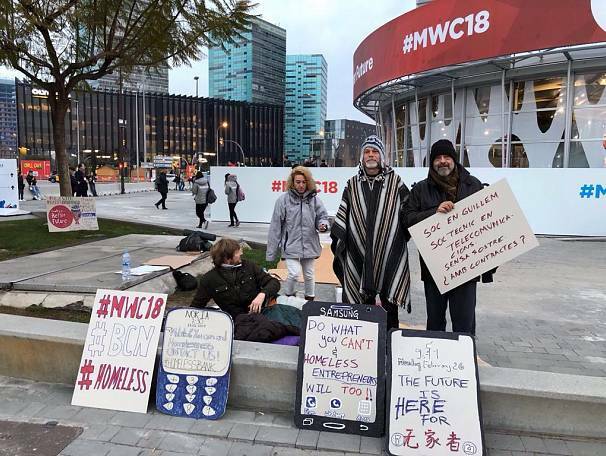 Why did Homeless Entrepreneur choose MWC18 for its latest campaign? Because of the dramatic difference technology can make to a homeless person's life, said Funk. If a person is lacking both a roof over their head and a mobile phone, how can they be contacted after a job interview? How can they look for job offers online? They are stuck in a vicious cycle. Funk said that the charity's campaign has worked — for one, Guillem has several job interviews. Among the offers, Spanish audiovisual group Mediapro contacted him to ask for a CV. In addition, Homeless Entrepreneur has arranged meetings with representatives of Samsung and Adidas, both of which are interested in collaborating with the organisation on a mission that Guillem defines as helping people like him to "get their lives back".